Following the recent successes of our branches in Morecombe, Grantham and Stoke, we are pleased to announce the opening of our latest outlet in Kidderminster. 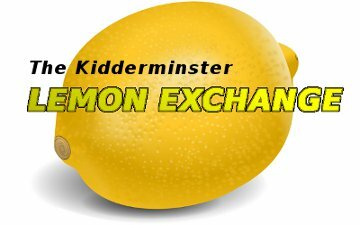 In many ways the town of Kidderminster is the spiritual home to the lemon, as well as being the weekend cottage of the pomegranate and the domain of the plum. 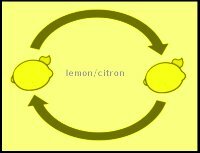 Unfortunately, its citizens have had nowhere to exchange their tired, outmoded and expired lemons... until now! At last, thanks to our secure 24-hour lemon swap point, the people of Kidderminster need never be bothered by an out-of-date lemon again. No appointment needed. Just look for the sign. No Mangoes. Bananas by prior appointment only.